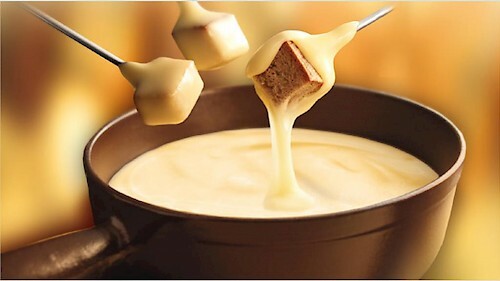 Share a traditional fondue. Worried your Valentines Day plans weren’t cheesey enough? Never fear, the French Alps are renowned for a love of cheese and there’s plenty of places to pick some up in Morzine! Share a fondue with your date at La Grange for a traditional Savoie style dinner and you’ll be treated to a pot of melted cheese with a selection of mixed meats, salad and potatoes to get your teeth into. Escape the crowds and take a trip to the top of Mont Chéry in Les Gets. Often blissfully quiet with stunning views over to the highest peak in the Alps, Mont Blanc, Mont Chery is most definitely a proposal worthy spot! When there’s fresh powder on the ground, the expanse of snow-covered trees can really give the feeling of going through the wardrobe into Narnia! So enjoy the fresh air, beautiful surroundings and take in the magic of the mountains. 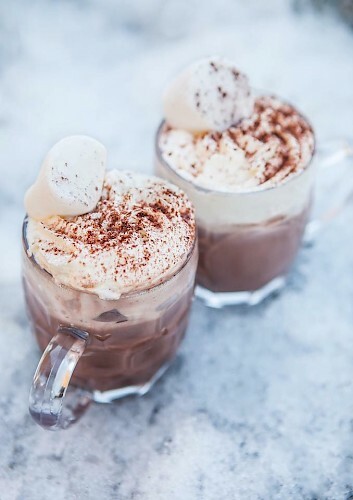 Enjoy a hot chocolate with whipped cream and all the trimmings on the terrace of the L’Aubergade. The perfect place to lap up some afternoon sunshine and watch the action from the Xavier Bertoni Freeski Academy, L’Aubergade also has an extensive menu with plenty of options for Vegetarians and Vegan. 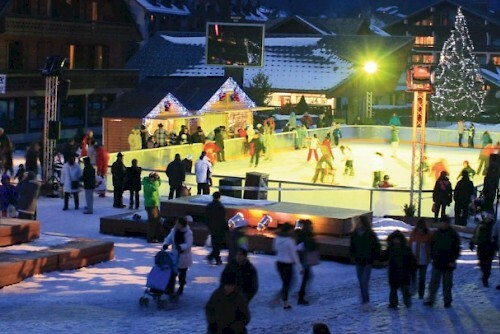 Take to Morzine’s outdoor ice rink in the town square for a classic date night. At night the town comes alive with pretty white lights and folk outside taking in the resort’s atmosphere. Rent boots from the hut outside the Tourism Office and have a frosty skate hand in hand. Ride down from Avoriaz as the sun sets. 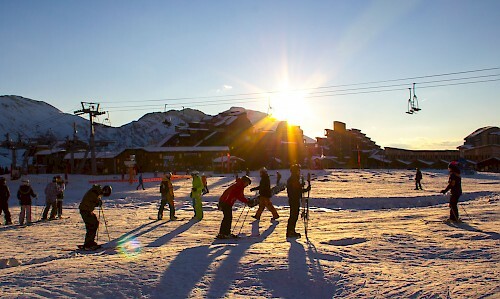 Ski until last lifts, enjoy a vin chaud on the Avoriaz Plateau and then ride down homerun under the Prodains gondola as the snow turns pink and the sky puts on a show with the last light of the day. There’s nothing more special than the mountains at dusk, so take your time and lap up the feel good vibes. Share a delicious treat from the best bakery in town, La Bonbonniere. 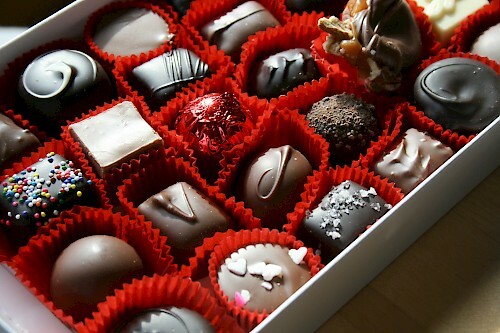 With a beautiful selection of patisseries, artisan chocolate and stunning desserts, this is the perfect date for your loved one if they have a sweet tooth! We’re sure you’ll have as much fun choosing as you will eating! 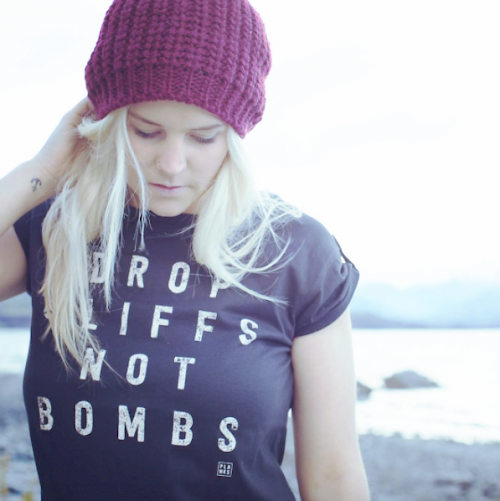 Visit our friends Planks Clothingto find the perfect Valentine’s Day present! Instead of heading straight for the novelty gift shop, choose from a selection of technical performance wear that’ll keep your squeeze warm, dry and stylish up on the hill and on the streets! Top tip: Ask for a discount card from one of our staff members! Come down to Le Cottage at après and have a professional photographer take some snaps. 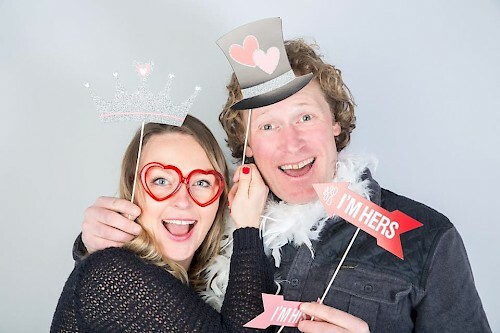 A great gift or something fun to do together this Valentines, visit the photobooth at Le Cottage for something memorable. Whether you’re looking for photos with your loved ones or your little ones, there are loads of fun props to get you in the mood!